(1) REAR PADS SET. 2) REAR DISCS SET (284mm). KIT CONTAINS . 2015 SSANGYONG TIVOLI Brake Master Cylinder. This item has been removed from a: 2015 SSANGYONG TIVOLI. Model: TIVOLI. Make: SSANGYONG. Fuel type: Petrol. Year: 2015. Part Type: Brake Master Cylinder. In the event that a part is supplied and proven to be incorrect or faulty, Hills Motors must be notified within 48 hours. 2015 SSANGYONG TIVOLI ABS Pump/Modulator. This item has been removed from a: 2015 SSANGYONG TIVOLI. Model: TIVOLI. Make: SSANGYONG. Year: 2015. Part Type: ABS Pump/Modulator. Fuel type: Petrol. Part Information Includes:-. Brake Pads. Fitting Position: Rear Axle. Brake System: Akebono. Our Part No's / OE PART NUMBER VAPADB32161-W. Other Information Width 2: #. Width 1: 41.0 mm. 2015 SSANGYONG TIVOLI Brake Servo. This item has been removed from a: 2015 SSANGYONG TIVOLI. Model: TIVOLI. Make: SSANGYONG. Fuel type: Petrol. Year: 2015. Part Type: Brake Servo. All parts are stamped & removal of the marks will invalidate your warranty. All ECUs, MODULES and electrical goods are tested prior to being dispatched. All Engines. When buying a vehicle engine you are buying the engine only. 2015 SSANGYONG TIVOLI ELX ABS Pump/Modulator Mk1 (TIVOLI). Part Details : 2015 SSANGYONG TIVOLI ELX ABS Pump/Modulator Mk1 (TIVOLI). Vehicle Details : 2015 SSANGYONG TIVOLI ELXTIVOLI 2015. TIVOLI 2015 -2018 Mk1 (TIVOLI). DP22031 EBC GreenStuff Rear Brake Pads Ssangyong Tivoli. EBC Part Code: DP22031. Ssangyong Tivoli 1.6 TD 2WD. EBC GreenStuff Rear Brake Pads. There is no such thing as a no dust pad and all brake pads create more dust as they are bedding-in especially if brake discs are worn. Gebrauchter Ssangyong - ABS / ESP Block. Viele weitere Gebrauchtteile aller Marken auf Lager. Der ABS - ESP Block wurde vor dem Ausbau von uns geprüft und funktioniert einwandfrei. Gebrauchsspuren beeinflussen nicht die Funktion. SSANGYONG TIVOLI 1.6[2015-]. SSANGYONG TIVOLI 1.6 e-XDi[2015-]. SSANGYONG TIVOLI 1.6 Trazione integrale[2015-]. 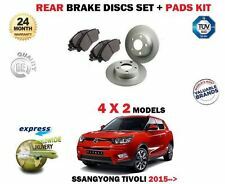 SSANGYONG TIVOLI 1.6 XDi 160 Trazione integrale[2015-]. SSANGYONG TIVOLI 1.6 GPL[2015-]. SSANGYONG 48130350B0. 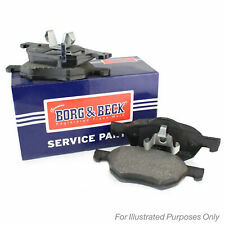 Function Brake Pad Set, disc brake. Fitting Position: Front Axle. SSANGYONG TIVOLI Pinza de Freno. Pieza Pinza de Freno. Año: 15 16 17 18.  Pieza defectuosa.  Pieza equivocada. NOTA: SE DENOMINAN GASTOS DE DEVOLUCION A LOS OCASIONADOS POR EL TRANSPORTE.  Mientras no las recibamos, las piezas siguen siendo de su propiedad. One of our sales team will be on hand to help you as soon as possible. SSANGYONG 4840135000. Brake Disc Type Solid. Brake Disc Thickness 10 mm. Function Brake Disc. Observe service information. Service Information : INF12130_GB. Applicable Vehicles. Number of mounting bores 2. DPX2031 EBC Ultimax Rear Brake Pads Ssangyong Tivoli. EBC Part Code: DPX2031. Ssangyong Tivoli 1.6 TD 2WD. 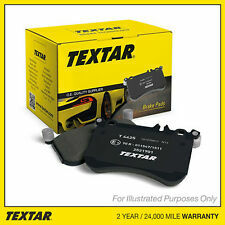 Perfect for the driver that wants a top quality alternative to a factory brake pad. EBC Ultimax Rear Brake Pads. SSANGYONG TIVOLI Mangueta. Pieza Mangueta. Año: 15 16 17 18.  Pieza defectuosa. Ninguna devolución será aceptada sin previa autorización, excepto. Money back. Best Quality. Warranty Provided 12 Months. SSANGYONG: 48413-350B0. SSANGYONG: 48413-341A0. Nous repondre vite. S'IL VOUS PLAIT GROUPER VOTRE COMMANDE ! KIA: 58302-1RA30. KIA: 58302-1WA30. KIA: 58302-1WA35. KIA: 58302-2KA10. Ssangyong Tivoli 1.6 2WD (128 BHP) - Years of manufacture 2015 on. For models with a BHP of 128. EBC's radically improved Ultimax2 ECO friendly brake pads are a superb daily driver R90 type approved pad which feature EBC's red "brake in" surface coating for instant safe braking after installation. Part Number: 4851035101 JG4B-0019. Référence: 4851035101 JG4B-0019. Brake Booster for Ssangyong Tivoli 2WD. Bremskraftverstärker für Ssangyong Tivoli 2WD BJ15 1,6 94KW. Servofreno per Ssangyong Tivoli 2WD. SSANGYONG 4144135000. Brake Disc Thickness 23 mm. Function Brake Disc. Observe service information. Service Information : INF12130_GB. Applicable Vehicles. Number of mounting bores 2. OEM references. Specifico per: SSANGYONG TIVOLI 1.6 1.6 KW 94 CV 128 04/2015. NOTA PASTIGLIA. Aggiungi ai Preferiti. Spediamo con Si declina ogni responsabilità per danni diretti o indiretti derivanti dalle informazioni riportate. Specifico per: SSANGYONG TIVOLI 1.6 XDi 160 Trazione integrale 1.6 KW 85 CV 115 04/2015. NOTA PASTIGLIA. Aggiungi ai Preferiti. Spediamo con Si declina ogni responsabilità per danni diretti o indiretti derivanti dalle informazioni riportate. Mileage: 14Tkm. Laufleistung 14Tkm. Kilométrage: 14Tkm. Brake Caliper Front Left for Ssangyong Tivoli 2WD. Étrier de frein avant gauche pour Ssangyong Tivoli 2WD. Pinza freno anteriore Sx per Ssangyong Tivoli 2WD. Mileage: 14Tkm. Laufleistung 14Tkm. Kilométrage: 14Tkm. 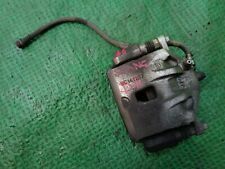 Brake Caliper Rear Left for Ssangyong Tivoli 2WD. Étrier de frein arrière gauche pour Ssangyong Tivoli 2WD. Amortisseurs gauche arrière pour Ssangyong Tivoli 2WD 45301-35000 4530135001 4530135000. Mileage: 14Tkm. Laufleistung 14Tkm. Kilométrage: 14Tkm. Brake Caliper Rear Right for Ssangyong Tivoli 2WD. Étrier de frein arrière droite pour Ssangyong Tivoli 2WD. Model: Tivoli. Model Tivoli. Désignation du Tivoli. Brake Master Cylinder Brake Cylinder for Ssangyong Tivoli 2WD. Hauptbremszylinder Bremszylinder für Ssangyong Tivoli 2WD BJ15. Cilindro maestro comando freno Cilindro freno per Ssangyong Tivoli 2WD. Cilindro principal del freno Cilindro de freno para Ssangyong Tivoli 2WD. Specifico per: SSANGYONG TIVOLI 1.6 XDi 160 1.6 KW 85 CV 115 04/2015. NOTA PASTIGLIA. Aggiungi ai Preferiti. Spediamo con Si declina ogni responsabilità per danni diretti o indiretti derivanti dalle informazioni riportate. APEC BRAKE CALIPER. APEC BRAKE DISC & PADS KIT. APEC BRAKE HOSE. APEC BRAKE MASTER CYLINDER. APEC WEAR INDICATOR, BRAKE PAD. APEC WHEEL BRAKE CYLINDER. 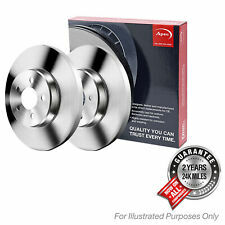 2 Year Warranty Apec Brake Disc (Pair). APEC BRAKE SHOES.